Parcel delivery is the lifeblood of e-commerce. 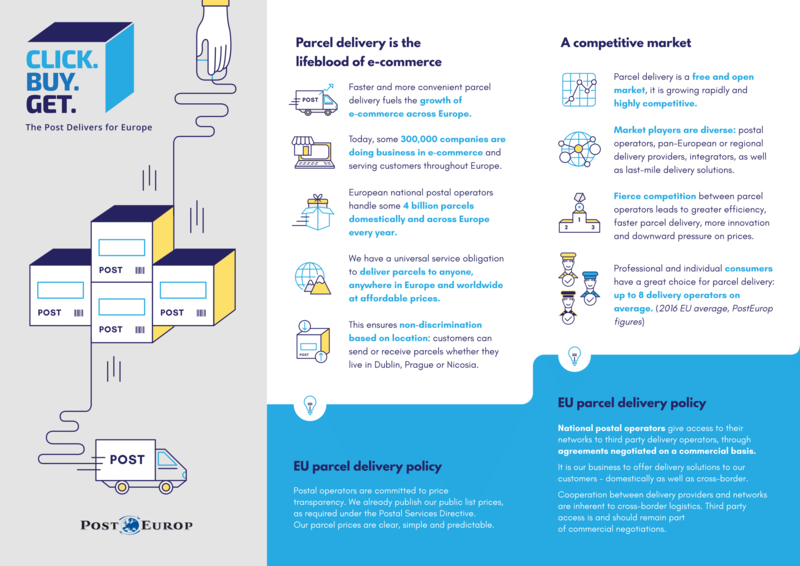 Postal operators deliver 11 million parcels a day to anyone, anywhere in Europe – at affordable prices. We innovate for end-consumers and e-retailers, and compete with many other market players.